Over/Under: Over 148 at 1.90 Bet Now! The first game in Group A on Thursday night sees a team with a perfect home record come up against a team that has yet to win away from home in this season’s Euroleague. 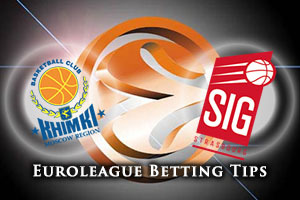 With that in mind, it should be a straightforward win for Khimki shouldn’t it? Probably, buy we all know to take nothing for granted in the Euroleague. A strong 2-1 home win over Crvena Zvezda sets Khimki up for this game and they will be looking to move on to a 3-1 record by the weekend. One of the key players for the Moscow side has been James Augustine. He has been a dominant force but he has been ably assisted by players like Tyrese Rice and Alexey Shved, which means that the home team have plenty of players who can cause damage. The home side have outscored and out-rebounded their opponents so far this campaign, and they will be confident of maintaining the status quo on Thursday night. Losing two away games out of two in the season so far is annoying but for Strasbourg, the tales of away day woe in the Euroleague run on for an awful lot longer. They have tasted defeat in their last 14 games on the road in the Euroleague and they know that they face a tough test in this game. They were defeated in Germany in their last outing and they hold a 2-1 record over the three games of the season so far. 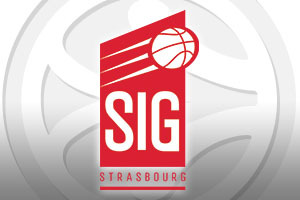 Vincent Collet, Strasbourg coach, will believe that this side will have chances to win but they need to sharpen up across the court to take anything from this game. The bookmakers think that this will be a straightforward home win, so perhaps take Strasbourg at +18, at odds of 1.90. If you are looking to get involved with the Over/Under market for this game, look to go OVER 148.0, available at odds of 1.90, which should be of interest on Thursday evening. Bet Now!